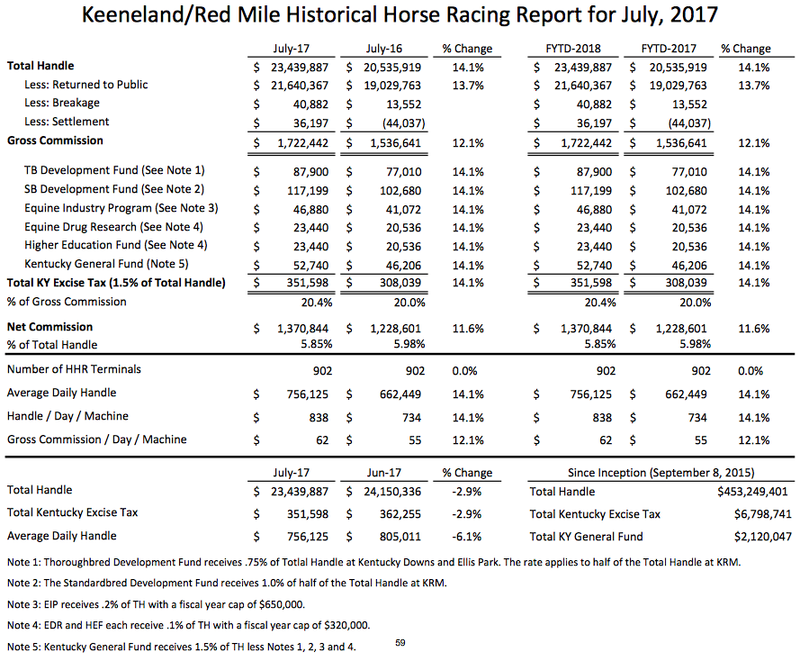 The Red Mile instant racing machines handled over $24.4 million in July 2017. That is an increase of 14.1% over the same month last year. 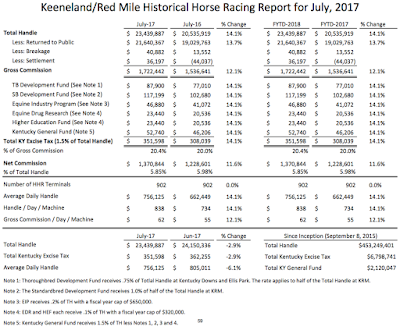 As a result, the Standardbred Development fund received $117,199. For detailed information click on the picture below.